Self-driving cars that maneuver around traffic jams, smart homes that sense when you're away and turn down the heat, pots that can send you a text message when your plants need watering-the Internet of Things promises all of these advances and more. They may sound futuristic, but we have the technology to make these wonders a reality today. If that's the case, why is the Internet of Things taking so long to deliver on its full potential? The buzz surrounding the Internet of Things-basically embedding everyday objects with chips and connecting them online-is rising sharply, and the first truly connected things, such as Google Glass, will soon be available to the public at large. However, just because the technology is available doesn't mean that the path to a connected world is clear. Unless we overcome some major roadblocks, the Internet of Things will continue to sputter. Technology, as it turns out, is not one these obstacles. On the contrary, Moore's law almost guarantees that computer chips will continue to get faster, smaller, and less expensive as time goes on. This means that just about anything, from cattle to cutlery, can be seeded with chips in the very near future. So then, what are the barriers to the Internet of Things? Perhaps the biggest is the closed systems that control today's technology landscape. Consumers are forced to choose between different devices that run different operating systems; for example, Android phones versus iPhones that run iOS. Closed systems may spur innovation, as providers compete to draw customers to their platforms, but they also wall in users. Customers can use social networks to share data across these systems, but it isn't the seamless, automatic exchange of data that gives the Internet of Things so much potential. For the Internet of Things to truly flourish, these walls must come down. This doesn't mean that users need to give up their favorite devices, or that device makers have to lose their edge and give up altogether. It does mean that companies and software developers should create open APIs, short for application programming interfaces, which make sharing information easier. APIs can take considerable time and resources to develop, but the benefits they deliver, from increased traffic and users to higher revenue-not to mention more accessible data-can make the effort worthwhile. Aside from APIs, an industry-wide push for open standards would also help the Internet of Things become a full-fledged reality. The Internet itself was once a revolutionary, early-stage technology, but before it could expand beyond its initial uses as a military and university network, its creators had to agree on certain frameworks, such as Internet Protocol (IP) addresses, hypertext transfer protocol (HTTP), and other standards. A similar set of protocols would give device and software makers a common language to accelerate the development of the Internet of Things. Making the Internet of Things easily accessible for non-tech savvy users is also critical to its success. The mobile industry, in fact, provides a useful guide for how the Internet of Things can expand very quickly in a very short amount of time. Cell phones and mobile apps have been available for years, but it wasn't until the creation of user-friendly app stores that the mobile ecosystem began to thrive. In the same vein, online marketplaces where users could find apps for their connected devices would make the Internet of Things much easier to use. The future seems to be full of promise for the Internet of Things, but will people actually want app-powered toasters, electric shavers, or any number of other everyday items? Many people won't, but there will be many others who will. In fact, one day soon, asking if you need apps for your refrigerator may seem as old-fashioned as asking if you need apps for your phone or tablet. When the answer becomes an obvious "yes," it will be clear that that Internet of Things is here to stay. 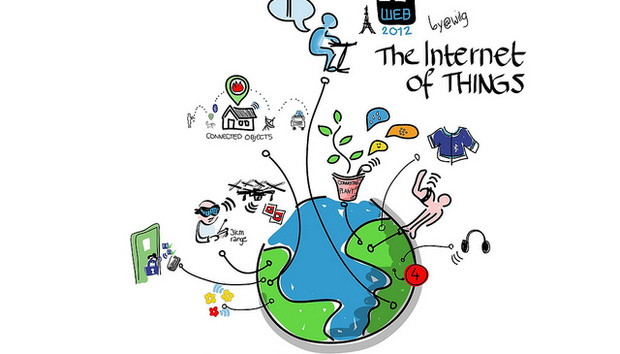 Internet of Things: What comes next?